Mudspike Contributor Jörgen “Troll” Toll shares his impressions of his recently acquired VPC Mongoos T-50 joystick. 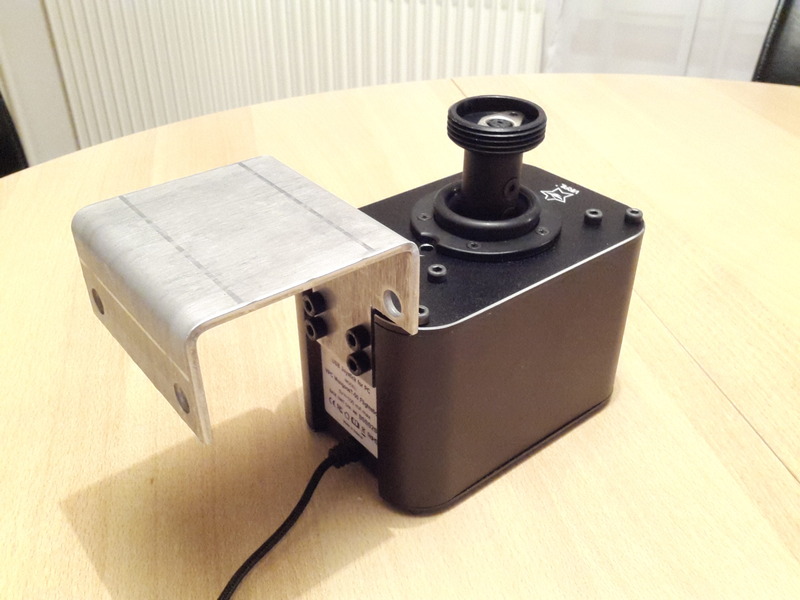 A newcomer in the PC flight simulator hardware market, a Belarus based company, Virpil has released its first flight controller, the Mongoos T-50 Flightstick. Being somewhat of a flight simulator controller aficionado I was intrigued by the design of the controller gimbal, and just had to take a closer look. Thrustmaster used to be the epitome of high-end flight-controllers. While still good, they have serious competition these days. 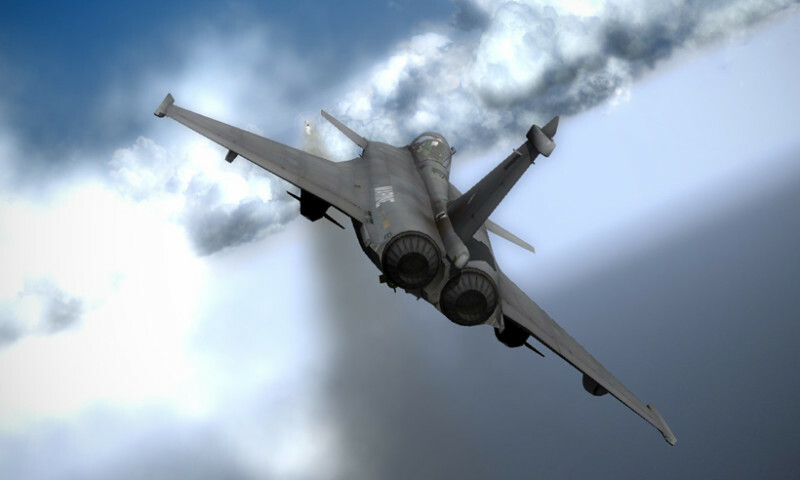 Older flight simmers may remember the F-16 FLCS, F-22 Pro, TQS, Cougar and Warthog. All masters in their class. We flight simmers owe a great deal to Thrustmaster for blazing the trail so others could follow. Some have followed this trail all the way from Russia. A lot of good flight-controllers come from Russia these days. We have VKB and BRD, and now VPC. Gotta love TLA! * They are all thriving on the fact that we flight simmers want good quality flight control hardware. We want realism. 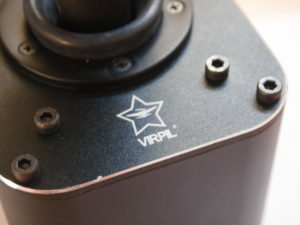 Virpil, from The Republic of Belarus, is the latest name to be added to the list of quality flight simulator hardware contributors. Virpil released a Thrustmaster compatible stick grip in the spring of 2017, to be followed by a joystick base a few months later. The release of the base was slightly delayed due to manufacturing schedule and design refinements. Quite frankly that was just what to be expected from a new company with a new design. All that behind them, initial production batches are being delivered to their customers as I write this review. In addition to the initial stick grip, they have added a left hand version and a limited black edition. They are also selling flight controller mounts and flight stick extensions of their own design. 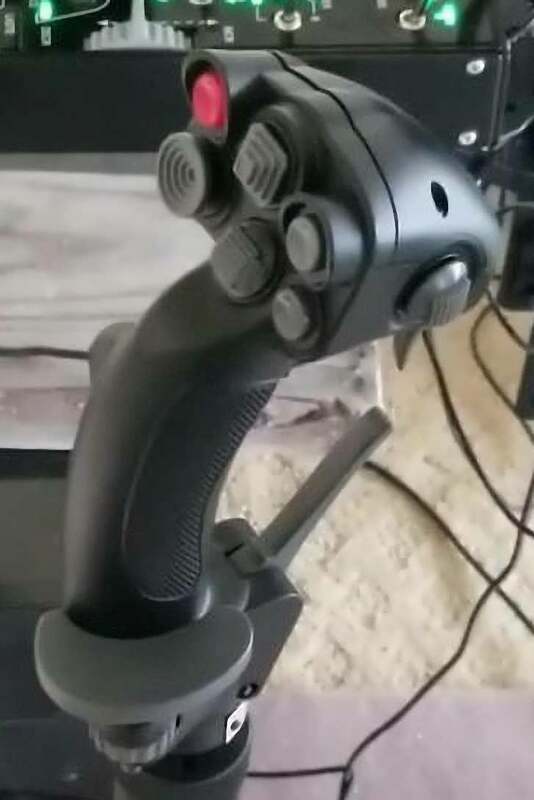 The stick grip is based on the OKB Avia Avtomatika stick, found in the Sukhoi T-50 and is fully compatible with the Thrustmaster Cougar and Warthog interface. 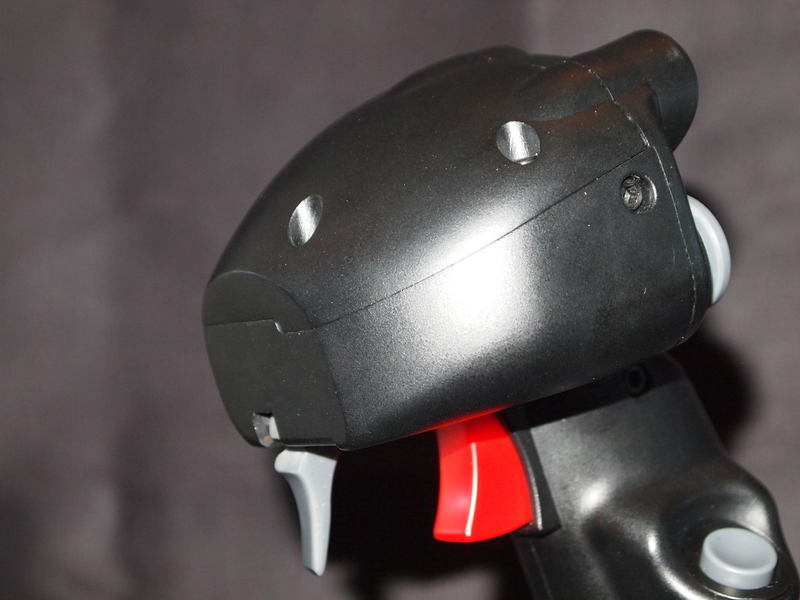 Thrustmaster initially designed their Cougar and Warthog HOTAS controllers with the ability to swap stick grips, unfortunately they haven’t yet followed up on the promise of new grip designs. 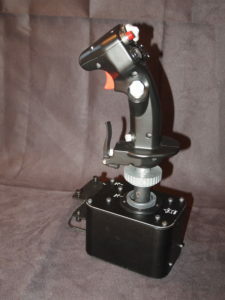 Virpil is, as far as I know, the first on the market with a commercially available Thrustmaster compatible stick grip. The 5 pin mini DIN connector of the VPC T-50 is on the end of a cable, unlike the Thrustmaster design, which is mounted in place. 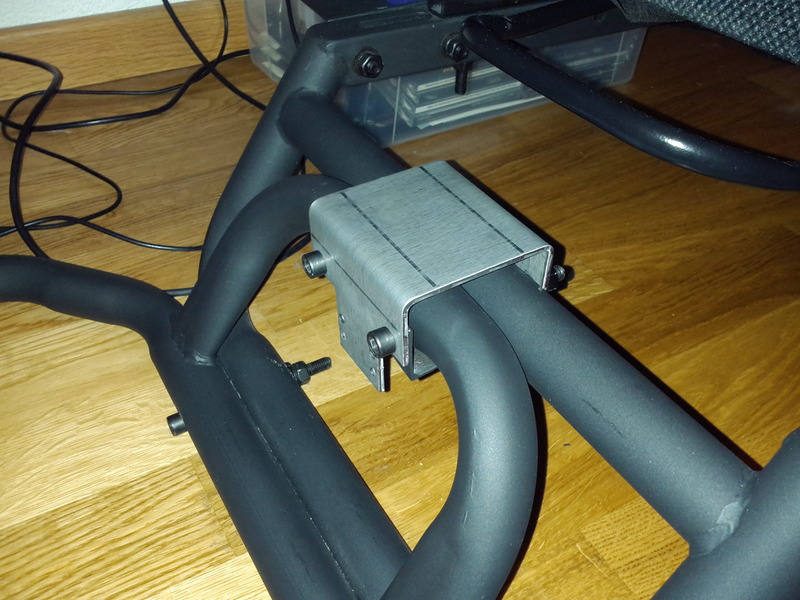 This is to allow for mounting the stick in a rotated angle. 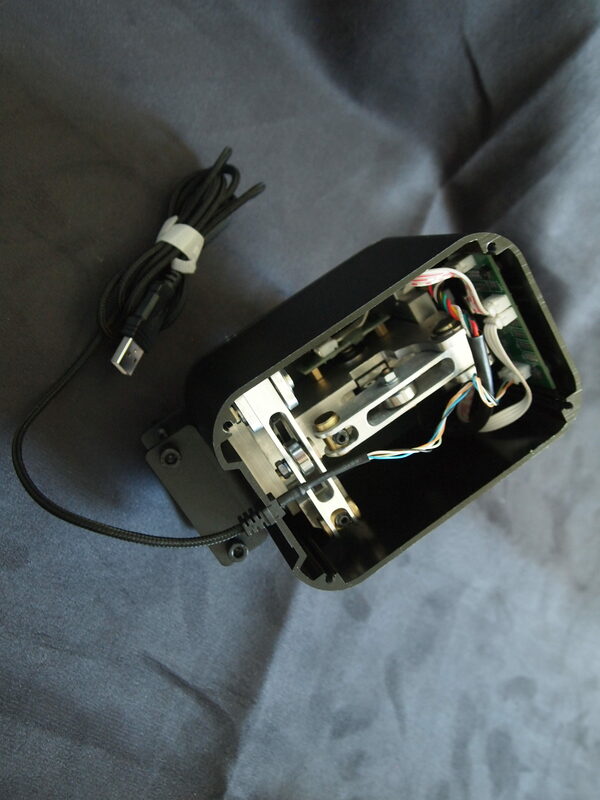 The VPC stick base connector is also loose, to allow for mounting a Thrustmaster stick grip in a rotated angle. 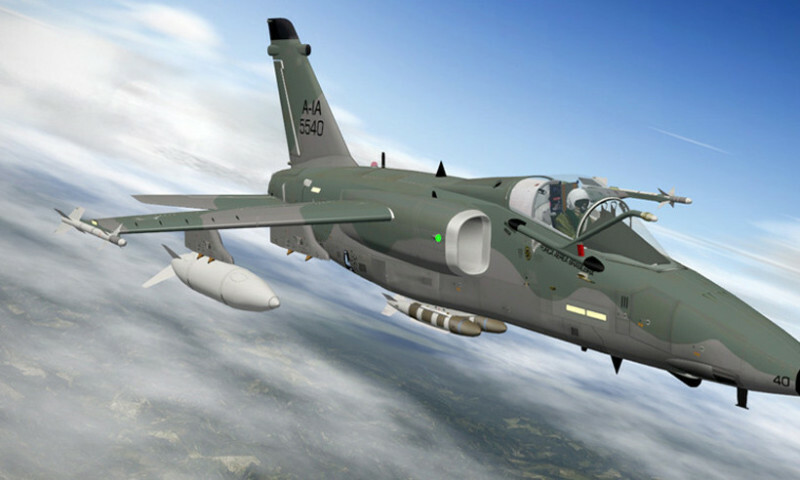 Yes, the T-50 stick grip can be used on a Thrustmaster Cougar or Warthog base, and the Cougar and Warthog stick grips can be used on the VPC T-50 base. How’s that for compatibility. 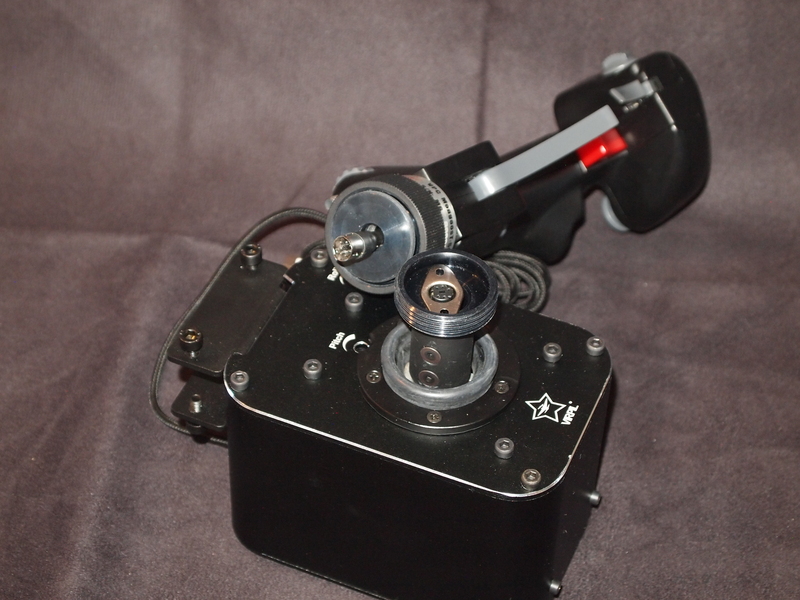 I guess you can call it a hommage to Thrustmaster, the great-grandfather of flight simulator controllers. 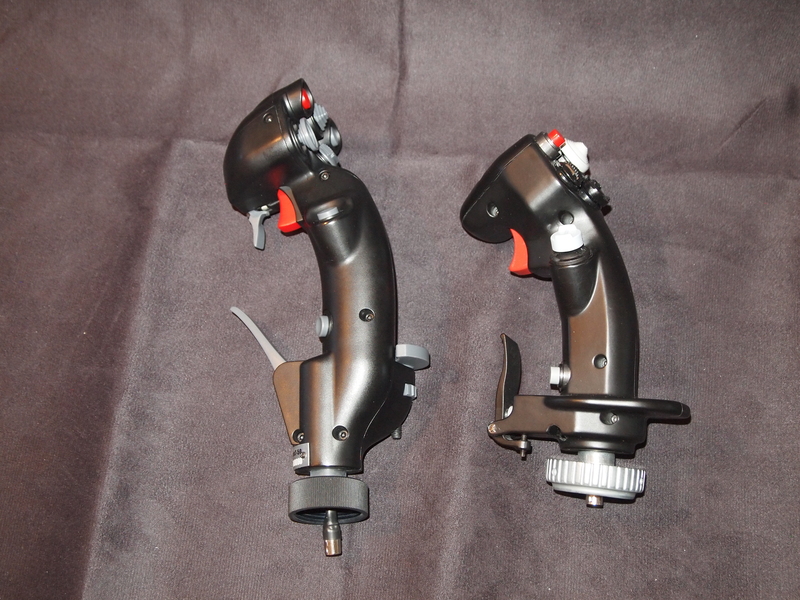 The VPC Mongoos T-50 side by side with a Thrustmaster Warthog stick grip. One proportional brake lever, that also works as a switch. The switches are of the OMRON brand, which are considered to be of high quality. 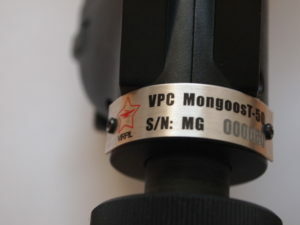 The VPC Mongoos T-50 Stick Grip pictured with a size 12 Nomex Flight glove. In addition to this it has an adjustable palm rest that can be raised or lowered. The proportional brake lever is a new addition. 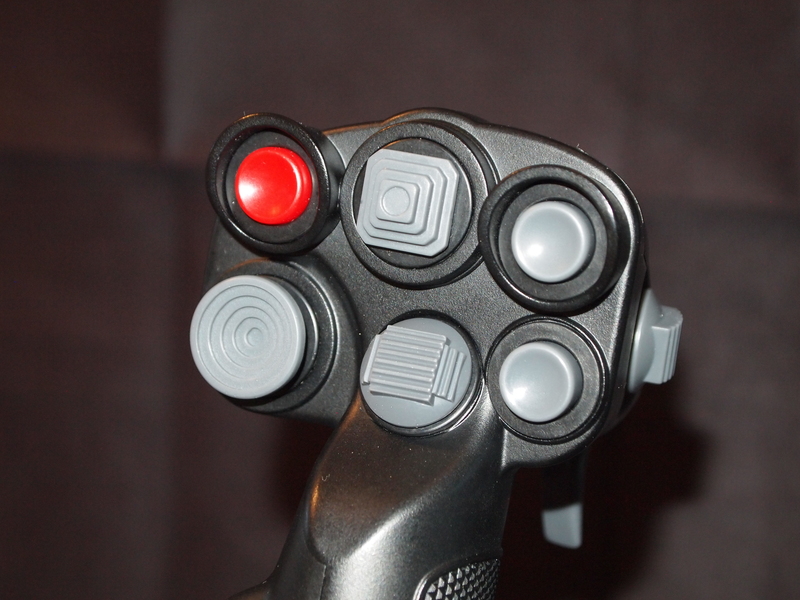 Where the Thrustmaster sticks have a paddle switch, the T-50 has a proportional lever. This is really useful for many Soviet/Russian fighters, and even the very British Supermarine Spitfire, that controls the wheel brakes via a motorcycle handlebar style brake lever. 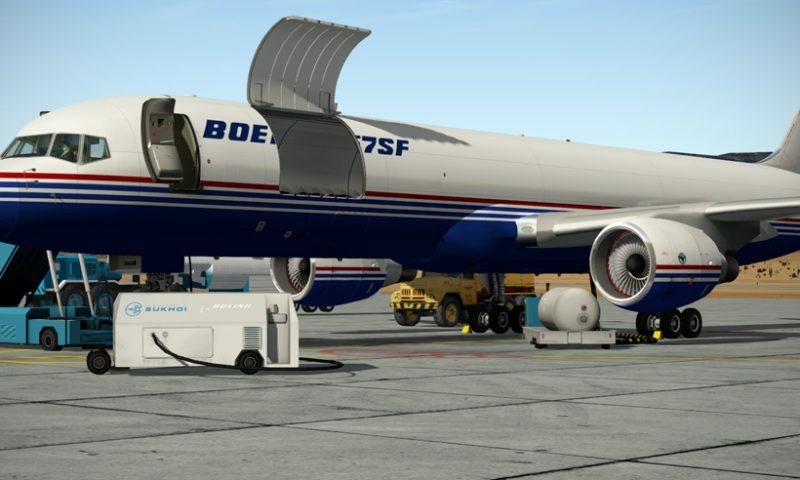 If you are used to flying mostly modern western aircraft you have undoubtedly been spoiled by steerable nose wheels, or tail wheels, and toe brakes, controlling differential brakes on either main gear wheel. And if you have, you have probably felt the frustration of taxiing the DCS: L-39C, MiG-21 or Spitfire Mk.IX where the brakes are controlled by a single lever, and brake force distributed differentially by rudder pedal input. Especially the Spitfire, with its brutish Merlin V12 and enormous propeller, can be a handful on the ground without proper control of the wheel brakes. Enter the T-50 and its proportional brake lever. Assign the brake lever to the ‘wheel brakes’ axis command and you are able to fine tune the brake force application and tame the tracking of any aircraft that does not have toe brakes. Provided you have rudder pedals, of course. 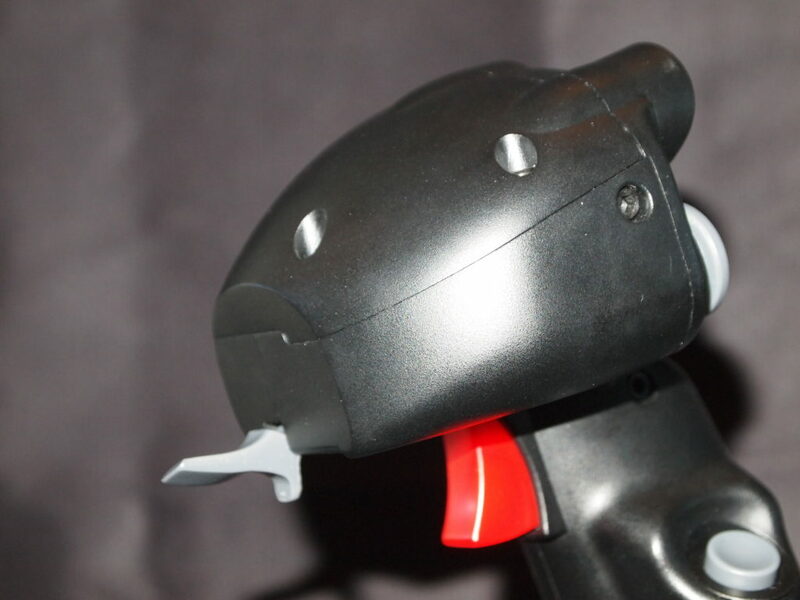 Unfortunately, due to a limitation of the Thrustmaster Cougar and Warthog bases, the T-50 proportional brake lever works as an on/off switch when used on a Thrustmaster base. It will only be seen as a proportional axis when used in conjunction with the VPC T-50 base. 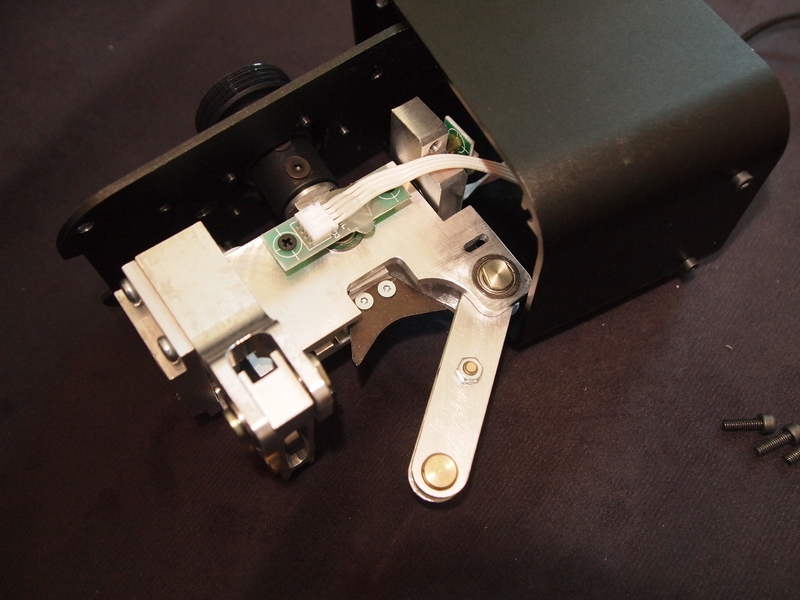 The brakelever also activates a switch when compressing the lever, in addition to moving the Z axis. The fact that the Z axis simultaneously activates a switch, makes that axis impossible to calibrate in Windows Game Controllers, as the calibration finishes as the button is closed, and that happens halfway through the Z axis travel. A dedicated VPC software is under way. 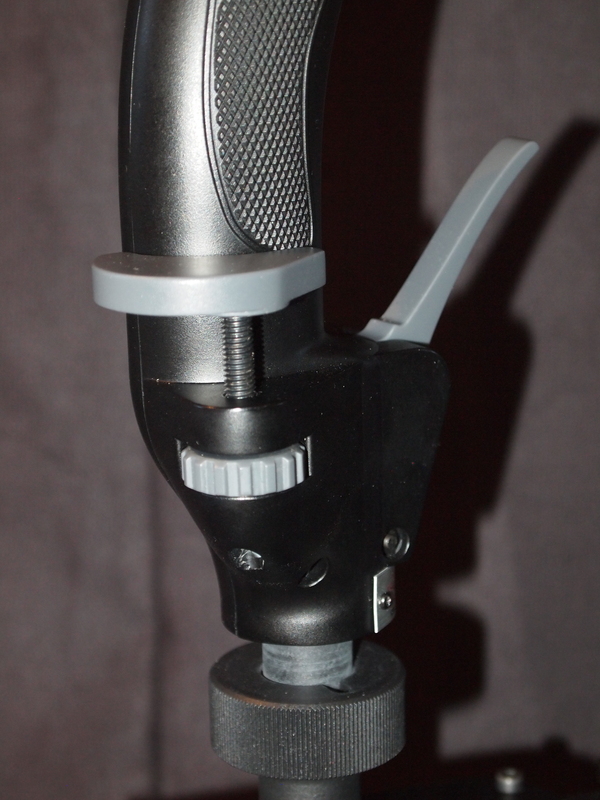 The T-50 stick grip feels very ergonomic and solid. Now, in a direct comparison with the metal Thrustmaster Cougar and Warthog sticks, it does feel slightly inferior in quality. This is, however, my very subjective and personal opinion. This comes from metal being heavier and more durable than plastic. I still remember feeling the cold metal from the Cougar for the first time. My hand has gotten used to the feeling, I guess. The T-50 is made from very high quality plastic and feels solid. It’s just that if you are going from the Thrustmaster metal sticks you may feel slightly underwhelmed when clasping a T-50 for the first time. In reality, most real flight-sticks are made from reinforced plastic, so don’t blow this issue out of proportion. The only issue I can see, with the choice of material, is that the fold down trigger and the brake lever sticks out a bit and may snag something in the heat of a dogfight. Not likely, but I guess it could happen. Operation of the button panel on the top of the stick requires some dexterity. This stick is full size, and as such not designed for kids or small hands. I wear size 12 gloves (12 being the circumference of your palm, in inches) and I can reach any button comfortably. 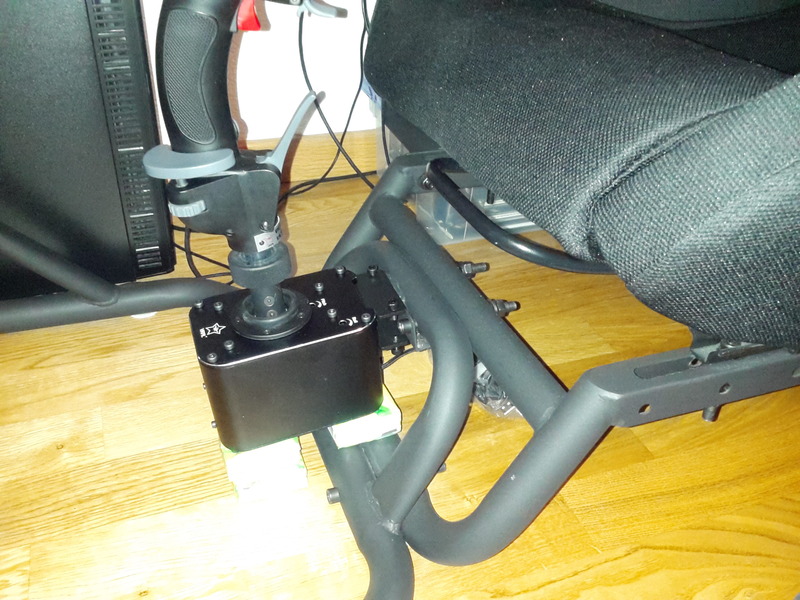 As I don’t have any of the Thrustmaster bases any longer, I can not test the T-50 stick grip Thrustmaster compatibility directly. 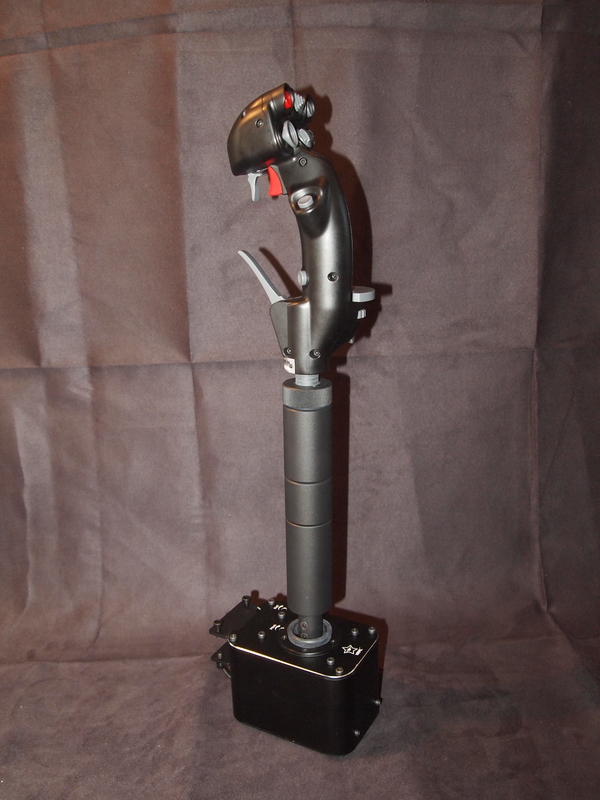 I do however have a BRD-N stick and that is 100% compatible with the Thrustmaster Cougar and Warthog stick grips. The T-50 works perfectly with the BRD-N base, with the same brake lever limitation as i mentioned earlier. 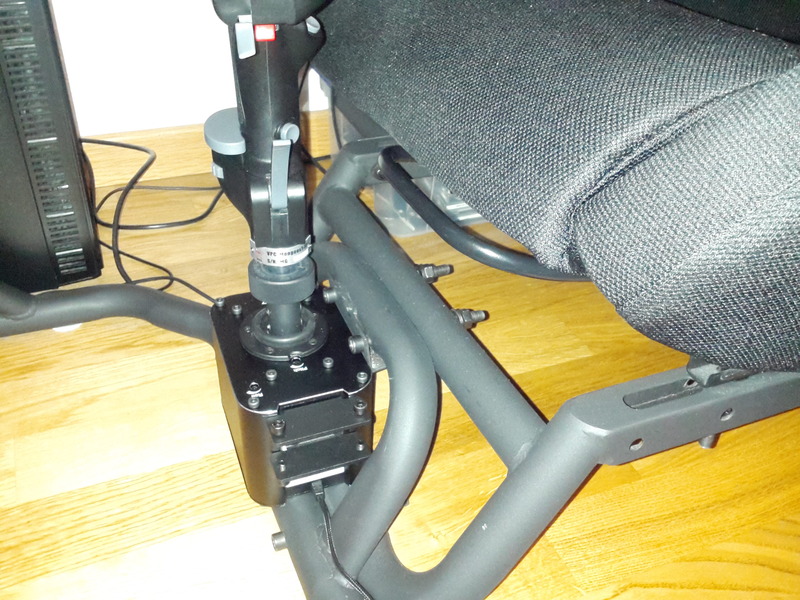 Following the release of the T-50 stick grip, Virpil released the base. The base has several new features, and is actually very compact. I have already mentioned the Thrustmaster compatibility interface and the proportional brake lever functionality. The base gimbal is very interesting indeed. 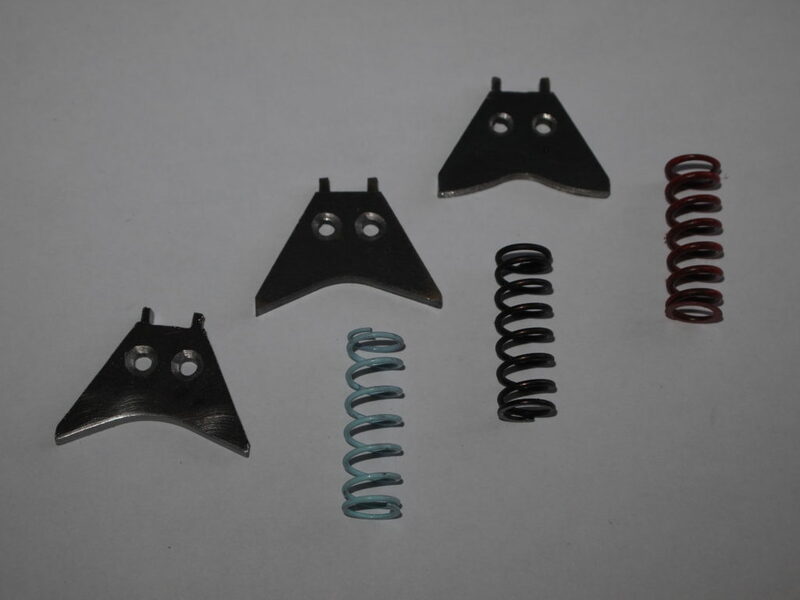 The design incorporates cam-spring resistance, which is adjustable by changing the springs and/or the cams. But that is not all. The spring resistance can be adjusted by set screws, without disassembling the base! There are several ways of providing centering forces on a joystick, typically creating a resistance around the center position, that must be overcome to move the stick. This can be totally realistic, or it can be equally unrealistic, depending on what type of aircraft you are simulating. What is certain is that controlling simulated aircraft on a PC is not like controlling a real aircraft with real aerodynamic forces acting on its control surfaces. It is more like flying a FBW (another TLA*) controlled aircraft. So it all comes down to what you are simulating and what your preferences are. And this is what I love about the VPC Mongoos T-50. You can adjust it to fit almost every need! 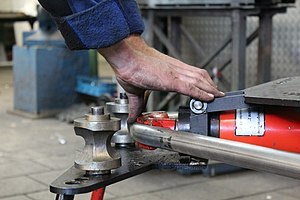 A cam is used to change the moment arm of the spring centering force, thus making the centering force lighter or heavier. Unscrew the two small hex socket screws on the back of the base, holding the PCB. These are connected to two nuts and a washer. Pay attention to the way the PCB is mounted so you remember how to put it together again. Also, if you drop one of the nuts, it will be eaten by the carpet monster… You have been warned! Did that seem hard to do? It really isn’t. But then again, I build my own flight controls. I totally get that this isn’t everybodys cup of tea. I for one, just love this level of customization. You will need hex socket bits no. 2, 2.5, 3 & 4. Be aware that aluminium and brass are soft materials. Be extra careful when mounting the screws. If they feel a bit heavy, when screwing them in again, chances are that they aren’t perfectly aligned with the threads. Unscrew, and try again. When reassembling the base, mount the U-shaped bracket before tightening the screws that secure the gimbal to the top plate and the top plate to the casing. 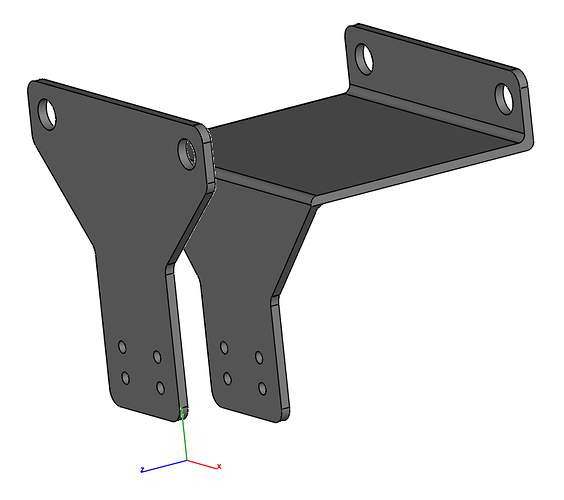 This is to ensure that the bracket sits firmly against the gimbal body, without a gap. The hex socket screws holding the cams are countersunk. I advice you to mount the cams and tighten the screws, and then re-tighten them after you have tensioned the springs, and wiggled the stick for a while. This is to make sure the screws are set correctly and that the cams are as snug as possible. Also, be careful not to damage the PCBs or the sensors. I had to use a metal file to open up the gap on my cams, a little bit. In addition, the pitch cam was a little bit too thick to fit the mount, and I had to grind it down slightly. The cam to the right has been polished. Also, the cam rolling surface, where the bearing of the spring arm rolls against the cam, needed polishing. This comes from the manufacturing process of the cam. The way they are cut leaves tiny grooves in the surface. These grooves can be felt through the gimbal assembly and it feels like your stick is linked to cog wheels. Virpil are aware of these faults; If this affects you, don’t hesitate to contact [email protected], for replacement parts. Chalk this up as teething problems of a newborn producer. 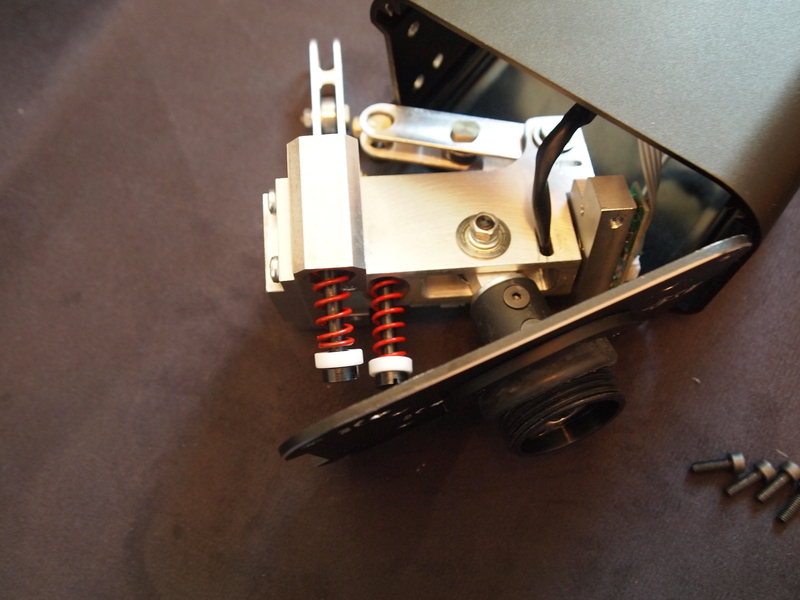 All that aside, having swapped cams and springs, you can also adjust the spring pre-tension with a flat head screwdriver through holes in the base top plate. A spring has nearly linear force increase, relative to its displacement. 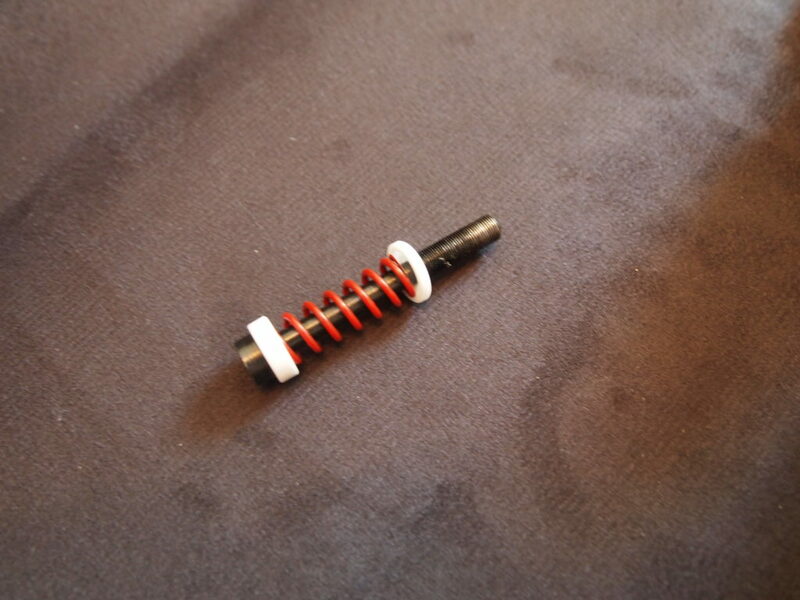 Simply put, the force to compress a spring will increase with how much you compress it. If you want a higher centering force, you tighten the pre-tensioning screws. With the heavy springs, and a loose center cam, the centering force is extremely heavy. I never thought that much spring force could be contained in such a small gimbal. 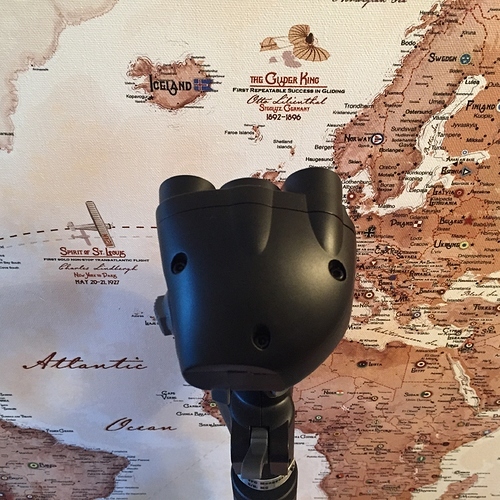 It is a testament to the design of the gimbal and the ingenuity of Virpil. You can use the lightest springs, and get a much lighter centering force, if that’s how you like it. …are capable of discerning a 0.006º movement around each axis. I like a strong centering force, but a smooth center transition. This is why I like to use an extension to my controllers. A longer stick means a longer moment arm. This gives me a much more realistic and precise pitch and roll control. Talking about precision, the contactless digital proximity sensors of the VPC T-50 are capable of discerning a 0.006º movement around each axis. This is what I would describe as “mind control” resolution. 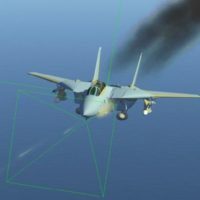 With a high centering force and this kind of resolution, you feel connected to your simulated aircraft in a way that can not be described. You adjust the controls by force, more than by displacement. Of course, you are moving the stick. There are no force sensors in the VPC T-50. It just feels like there is. Speaking of extensions, Virpil make those as well. I got the set of three different extension pipes, 50, 75 & 100 mm and I use all of them, together. This makes the stick tall enough for my purposes. 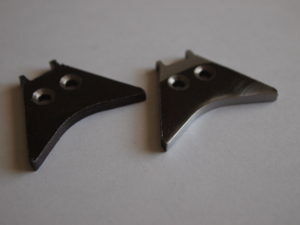 The extensions are made from aluminium and are of very high quality. They each come with their own cable extension. However, I only need the longest and the shortest cable extension, when I use all three extension pipes. Naturally, these extensions can be used with the Thrustmaster Cougar and Warthog stick grips and bases as well. The VPC Mongoos T-50 is not designed for desktop use. It says so on the Virpil ordering page. And it’s true. 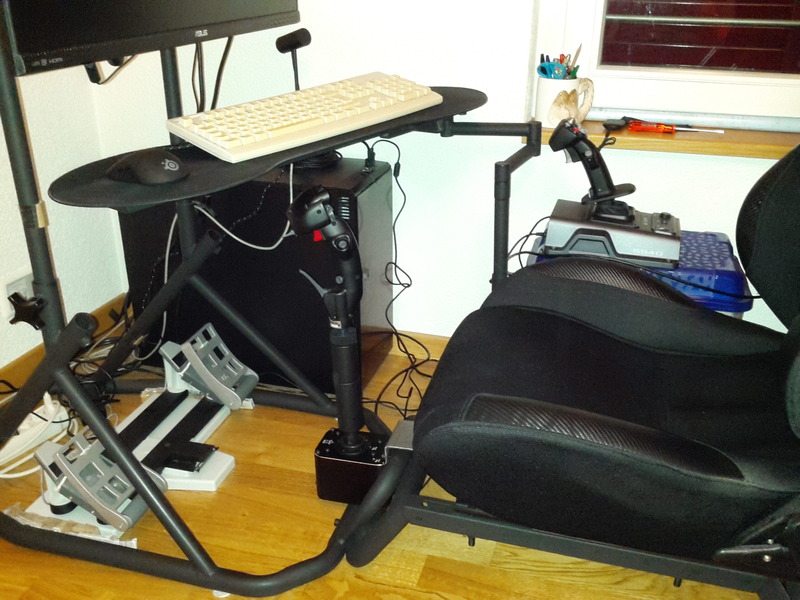 You basically need one of the desk mounts from Virpil to use the T-50. If you look at the front of the base, you see a U-shaped bracket with four hex socket screws. The base is designed to be fastened with the U-shaped bracket at the front of the base and not rest on a desktop. Let me tell you why. If you are using a heavy spring centering force, the aluminium base casing probably wouldn’t be able to withstand the load. 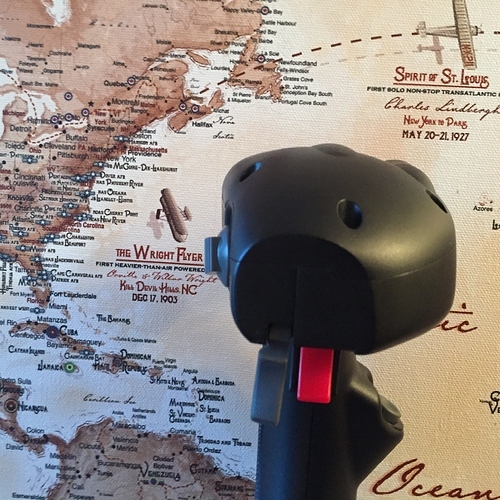 The U bracket is mounted directly to the body of the gimbal assembly and stabilizes the gimbal without transferring the load through the casing. Smart, really. I do wish Virpil would make and sell a mount that allows for the base to be attached to the floor of my SimBox though, as I don’t have a desk to attach the mount to. I paid around $400, plus shipping. That’s because I ordered the T-50 stick grip before the base was available. If you buy the T-50 stick and base, it will set you back about $350. That’s about $60 more than the Thrustmaster Warthog flight stick which sell at $290. The Warthog may have a metal stick grip, but the gimbal is all plastic. The VPC Mongoos T-50 is the other way around. Plastic stick grip and a metal gimbal. I don’t know about you, but I prefer the latter. And the VPC T-50 does have the brake handle and swappable cams and springs. Or if you broke your Warthog plastic gimbal, like I did, and need a replacement; Consider the VPC T-50, as you can buy just the base. So, what do I think of the VPC Mongoos T-50? Great review, and fantastic photography as well. An extremely detailed and thorough article. Well done! Good, I am seriously looking at this but waiting to see what their throttle comes out as. I find this paid for advertisement review? because as far as I know, VKB is the first to come out with interchangeable grips. Also the MKII Pro Gladiator is the first to come out with a metal gimbal system, interchangeable grips and the 109 style german grip is interchangeable with the thrustmaster as well as the Virpil. No one got paid for this review. @Troll bought the unit himself and was kind enough to write up his impressions. If you have corrections (which are fine, and appreciated) then it’s best not start with an accusation of corruption. Nobody paid me anything to write this review. I stated in the review that I bought and paid the hardware. Mudspike.com has not received anything from Virpil to publish the review. I wrote that Virpil was the first with a TM compatible stick grip. The VKB joysticks accepts TM Warthog stick grips, with an adapter. You have to remove the TM connector and replace it with the VKB adaptor. I used to own a VKB Black Mamba with a TM adapter. As far as I know, you can’t use a VKB stick grip on a TM Warthog or Cougar base. Is it this grip you are talking about? Can this grip be used on a TM Warthog base? In the sense of remove Warthog grip and bolt T50 grip or vice-versa Troll is right. VirPil is the first to offer this option “Bolt and Play”. VKB option is not “Bolt and Play”, is need disassemble the Warthog grip, install a electronic adapter, replace the nut and connector of Warthog grip for use in BKB bases, and that grip loose their Warthog base compatibility. Besides this is need update firmware, load buttons profile. All this represent unnecessary difficulties, and some buyers not achieve to do and even damage the Warthog grip internals. Are case of owner trying use VKB Gladiator PRO KG 12-A grip in VKB Gunfighter base and reveal not compatible due changes in electronics code in last versions. The fact that the Z axis simultaneously activates a switch, makes that axis impossible to calibrate in Windows Game Controllers, as the calibration finishes as the button is closed, and that happens halfway through the Z axis travel. A dedicated VPC software is under way. Try use DView or DXTweak2 for calibrate, set deadzones… this softwares work in the same way that joystick makers calibrator work. Windows calibrator is obsolete. 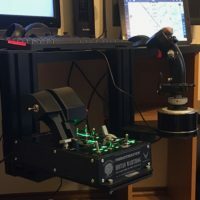 "I wrote that Virpil was the first with a TM compatible stick grip." your piece is a good writ, not to take away from that, in depth review is very good, myself I just thought it a little biased. of course since you writ this piece I would be very proud of it too. as you can see I’m not a writer. I was going to buy that T-50 but the price point and the stamped metal gimbal wasn’t what quality I was looking for, the VKB stick I feel has a better metal gimbal and cam setup. 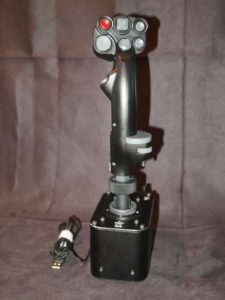 Virpil is by far I believe the first to make a mass produced commercially left handed joystick. ah the pro that’s the other one. 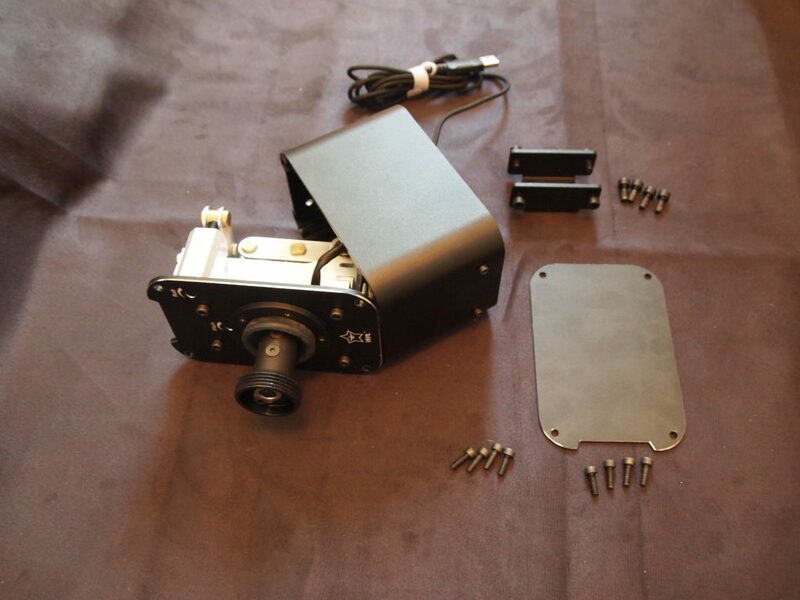 “TM Warthog base” why would you want to put a grip on a plastic gimbal system, the metal gimbal is far more accurate? you have to buy the adapter, it fits, they even have a youtube video on how to. ah I see I was confused on this point. So the warthog can go on the VKB base got it. 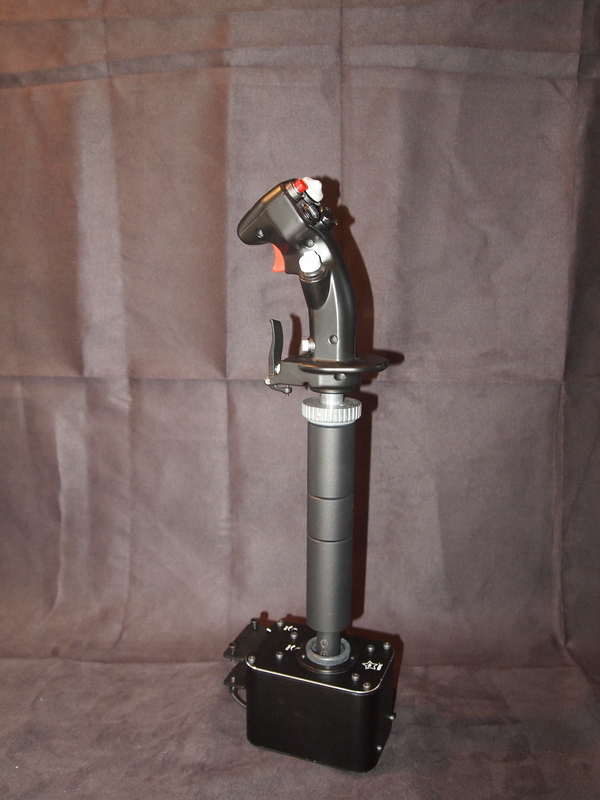 VPC delivered the first stick grip that is compatible with the Thrustmaster Warthog and Cougar bases. For the record I want to say that VKB makes excellent controllers, and they are about to release a TM Compatible stick grip. Mega_mozg is hard at work on the VPC software. I brought up the good and the bad, and as I saw it, there was more good than bad. The review should reflect that. 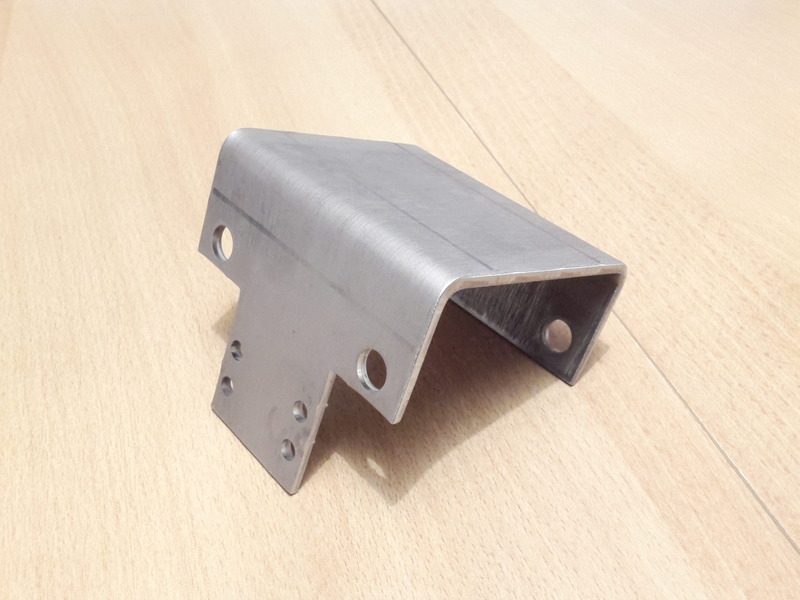 The gimbal of the VPC T-50 is made from machined aluminium. The cams seems to be stamped or cut steel. The VKB gimbal is very good! Like I wrote above, I used to own a VKB Black Mamba. I also got the cam gimbal upgrade. It was very good! A little too light for my taste, since I used the extension and the heavy Warthog stick grip on it. The new nylon “dry clutches” of the VKB Gunfighter looks interesting. The Thrustmaster F-22 Pro; it didn’t even make a mark in the industry. it took 20 years to get a review. First impression on the stick is very nice. The extra cams do have an unpolished surface. Since my stick seems to be from the first batch that was sent out, I assume these are still the defective ones and I should request the replacement cams right away? I don’t want to open this thing up and fumble with it if these are the wrong cams anyway. Let’s just hope these do not take another month of shipment. My major problem, now that I finally have it in my hands, I have not the slightest plan how to mount it on my Obutto. Anyone has any ideas? I don’t have tools, material or skills. Extra difficulty: The seat’s central mounting plate (to install the seat’s central Warthog mount) was welded on at an odd angle, both in pitch and bank. So far it didn’t bother me but now it might become a problem. 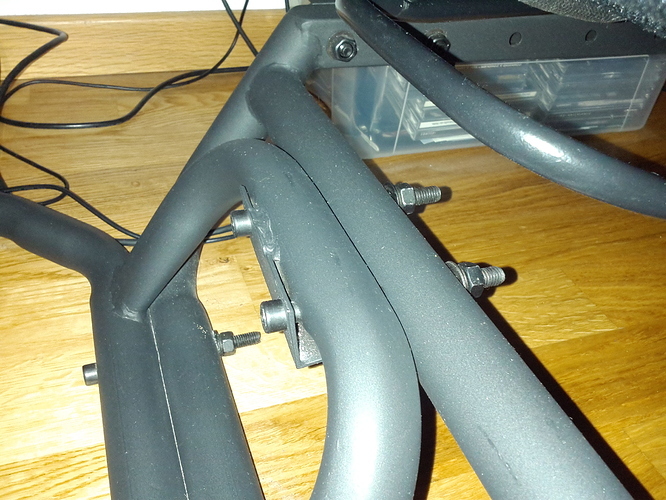 I figured the best way would be separate the seat and the monitor-stand with some sort of spacer and then to install the T-50 base such that the stick extends between the upper mounting tubes (where seat and monitor-stand would connect). This is the problem with the Thrustmaster interface. If you put a S bend extension, you’re going to put rotational loads on the threaded interface, and possibly unscrew it. That could be overcome by using a locking screw, or similar. This way the stick is terribly far forward though. I can adjust by sliding the seat forward, but the overall seating position will be very steep on the rudder pedals (whose position is fixed by constrains of the monitor stand). Not optimal, but probably the best solution. Note how twisted this is welded on. This is actually pretty shoddy quality for a product of this price. But getting the seat was such a huge monster shipment that I chosed to ignore it at that point, avoiding the trouble of sending it back for repairs. Initially I thought the seat (right structure) and the monitor stand (left structure) could be separated and the box be placed between them, for the stick to extend between the upper horizontal tubes. But the vertical space between the upper and lower tubes is not sufficient to fit the gimbal box. The box actually fits really nice in this space and the stick isn’t that much forward as with the backwards mounting. But there is probably no sensible way to firmly mount the thing. Don’t you have an Obutto too? How do you intend to mount the T-50? No, I have my home made SimBox. 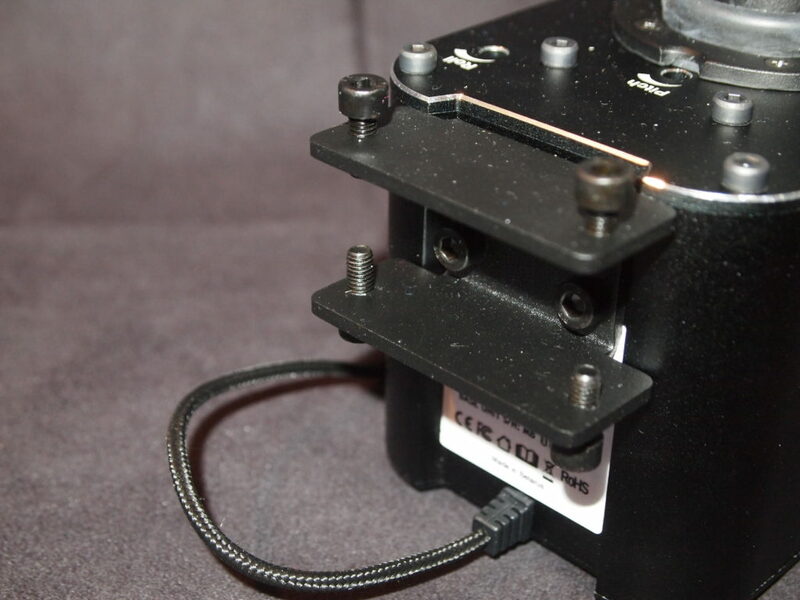 Mount it to the frame screws of the Obutto, and directly to the four holes holding the U bracket to the base…? That is looking really neat! 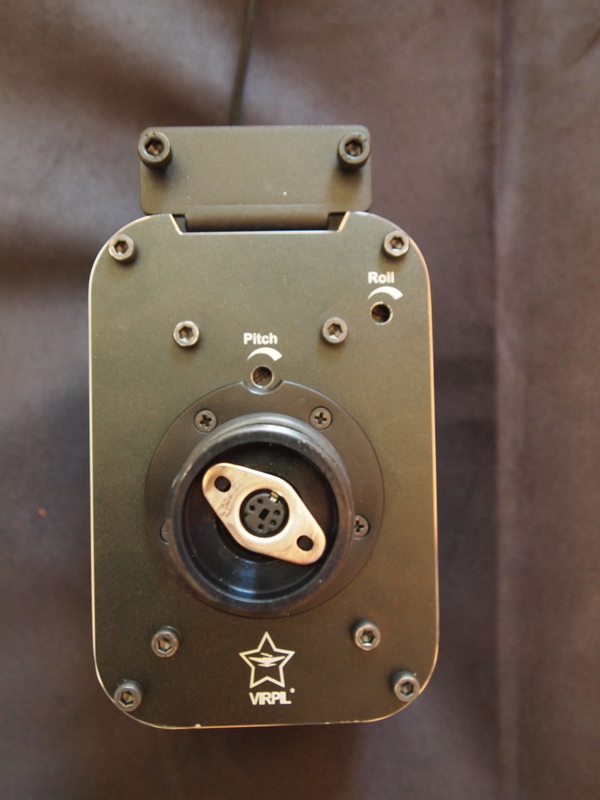 It is also so compact that some additional 2-3 cm of closer mounting are gained over the default U-bracket. 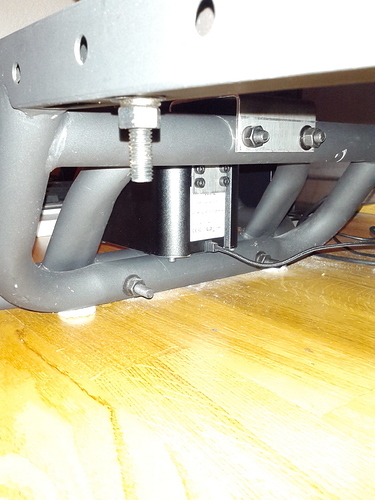 I think the top holes would need to be lower with the plate widening at a square angle, as otherwise the bottom of the gimbal-box will not fit above the lower tube of the monitor-stand. It is a rather tight fit actually. How well do you think this would handle the torque in pitch? Especially as in my unique case, I could not fit it flush with the existing mounting plate on the seat structure (because it is tilled and twisted) and would have to somehow fumble in spacers to even it out. Exactly, I have metal soldered extension on my cougar and I need to fix it in place in a particular way or suffer the nut coming off. I’ve made some CAD designs to fix this but haven’t had the motivation to build it, 3D printing is not THAT cheap unfortunately. Thick 10mm steel spacers, long bolts, and torque them all reasonably low. Make the adapter from a 4/5mm thick plate and you should have a solid construction that will hold up fine! Something like this, perhaps? 3mm steel plates? The allowances for the base to fit are real tight. The top and bottom screws on the casing might need to be removed on the rear facing side (they aren’t essential, right? ), then it should work. What do you think? The true question is, where to get the piece? 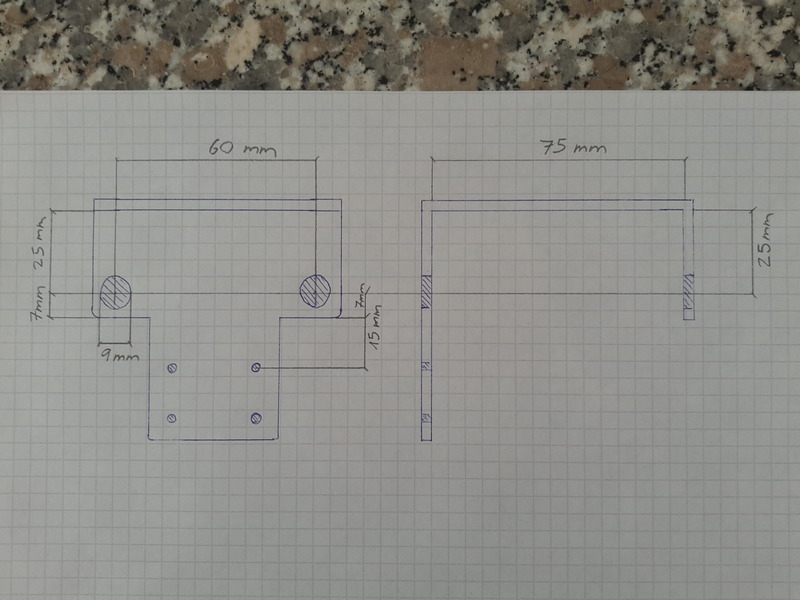 Is there some online service where you can send in blueprints and get a piece manufactured? Small shop nearby, give them a bit of tolerance(which is fine anyway) and they should be able to do this relatively quickly. It might cost you more then if you’d do it yourself but if you don’t have the tools then it’s a good solution. Perhaps there’s an engineering college nearby that has a few students up for the task? the corner radius of the 9mm bolts. spacing is usually marked from the same end, so all vertical distances are on the left, and come from the same origin. You haven’t specified a bend radius. This is needed to calculate the amount of sheet metal needed given that metal stretches and extends when you fold it in a corner. Thick steel is harder to bend then think steel. The verticle alignment of the 9mm hols is not specified on the left drawing but (kinda) is on the right one. Not a common notation. Also note that it’s specified from the top, in this case the top of the bit that runs to the forward face. Another thing, the 9mm will get bolts through them, can you still install the bolts this way, or from the other way if needed? I think a single piece that reached over the top would be the simplest variant. You guys are just too smart for this hobby! Nice write-up Troll. This is the stick I have been looking for. But my CH will have to go tango-uniform first. I’ll just say I read many F-22 reviews back in the day. There weren’t any video reviews for it because that was inconceivable in the mid-90s! By now I’m sure you’d need to dig deep in the internet archives to find them, hardly relevant anymore. My G940 is still holding on, but I’m getting frustrated by the rubberized plastic covering…it’s gone sticky. I had some thin gauze and I wrapped the handle where my hand rests so I’m not stuck to it, but now it’s UGLY. I tried to whip up a quick CAD file you could use in FreeCad but for some reason I can’t get it to extrude properly today… I must be poo poo’ing something up. It can be a bit of a PITA to use but still better then alternatives like Onshape(no colours in the interface… whyyyy). I did this “mod” on my Warthog after it began to get sticky around the center point from a couple of years of regular use. It seems to be holding up really well. Still, I know that it won’t last forever. So, I’m reading with great interest all of these new high end flight control reviews. Competition usually does improve the breed, and we are fortunate indeed to have VKB and VPC bring improved hardware to market. Add TM’s Hornet stick announced at E3, and we have some pretty exciting decisions to make in the very near future. If anyone builds an offering better than the Warthog Throttle, I will be surprised. 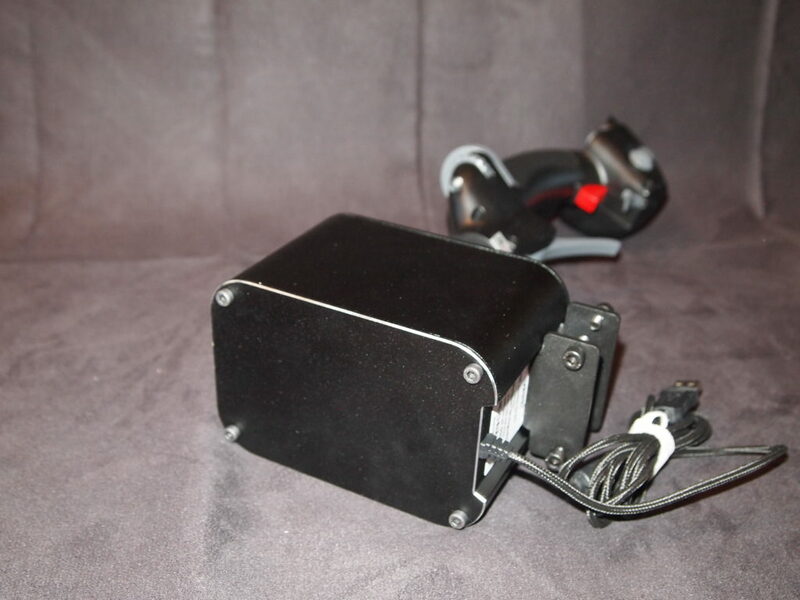 The combination of HOTAS throttle and switch panel is a huge leap for folks who don’t want to build sim pits, but like to have a bunch of switches within easy reach. I very much appreciate @Troll’s and any other in depth review, which ultimately will allow the consumer to make an informed purchasing decision. 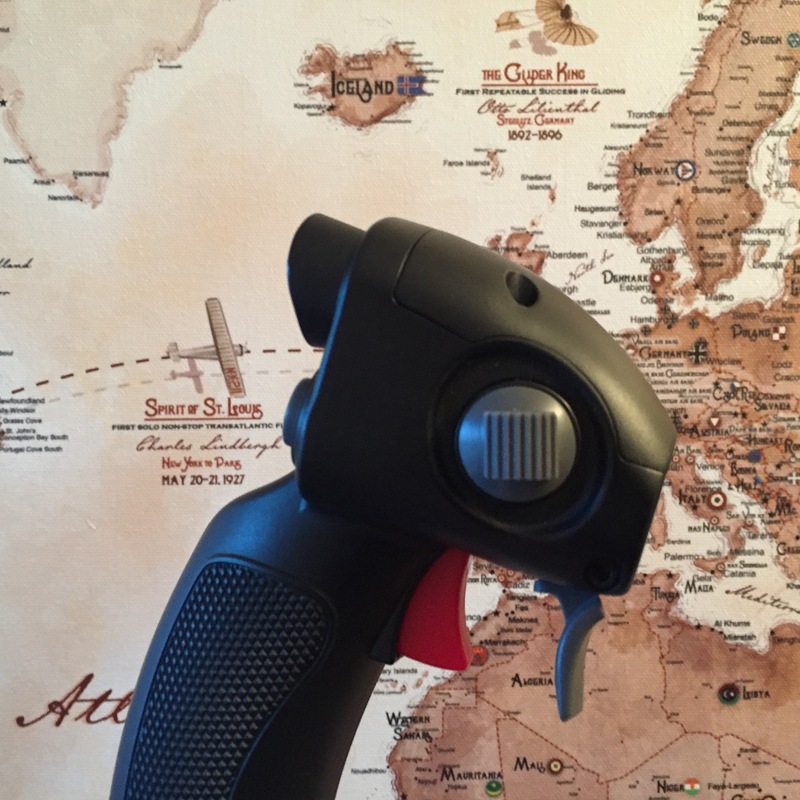 Winter may be coming, but some of us will fly into it gleefully with new flight controls in hand. Add TM’s Hornet stick announced at E3, and we have some pretty exciting decisions to make in the very near future. I really want to know if Thrustmaster has learned anything from the gimbal design that are currently popular on the market! Their offering for the Cougar was pretty atrocious, although I realize the dev team was quite budget constrained. The Warthog is better but suffers from wrong material choices(large part of the problem for the cougar as well though). The Uber NXT is quite an improvement, without being very complicated. Can’t say I’ve ever tried the F22, but that explains a lot. The wear marks that I’ve experienced on a Cougar tells me that its not designed for the forces it has to suffer through. Interesting, to know though! I’ve been wondering why they simply not took inspiration in what the community did with Cougar mods for the Warthog though? Do you feel that a single layer of 3 mm would possibly not be stiff enough? The default u-bracket is 3 mm and it looks pretty solid. Thanks for all the help guys. 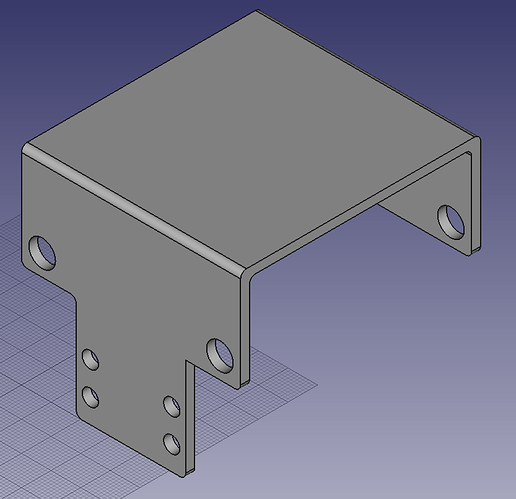 I have now downloaded FreeCAD and try to fumble something together that would be suitable to send to a manufacturer. 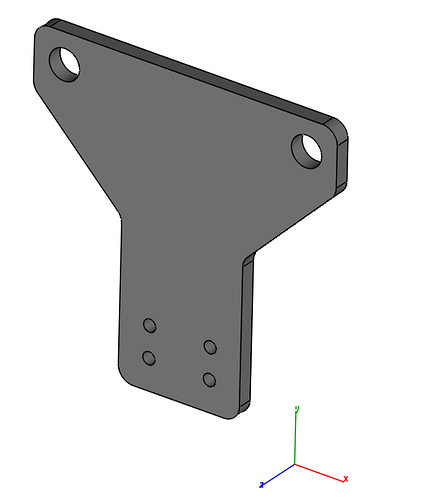 Still trying to figure out how to fully join two objects, how to bend the edges and how to add all necessary measurements. The default bracket is short. The new bracket will be longer. But 3mm should be ok. 2x3mm will definitely be enough! 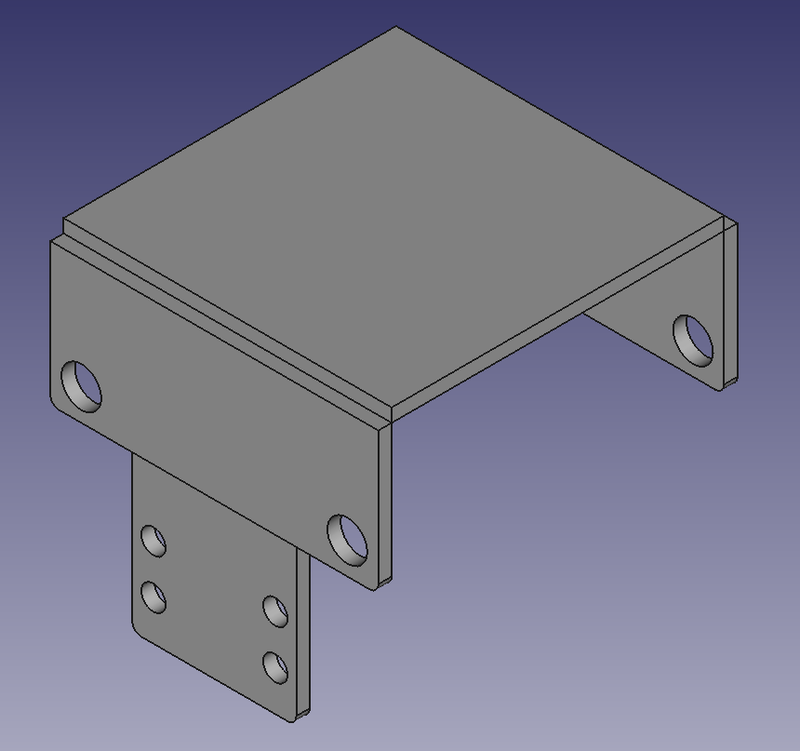 Getting a bit better with FreeCAD, I think I have now finalized my design for the Obutto mounting. Does anyone know how the black coating of the T-50 base is called? Might be nice to at least try to get the bracket in the same color. DIY stores here usually have a way to scan the colour and mix paint accordingly. Perhaps that’s a solution? Totally, steel is quite strong and 3MM is really thick. 3mm aluminium with a stringer would also be strong enough although that’s harder to fabricate. Yeah, I have had Home Depot in the US scan a section of metal and mix a batch of paint that matched it perfectly. Cool tech. The good news is that the floormount works great! This might be because I have changed cams several times, in testing for the review, and I’m using the heavy springs. I’m in dialogue with Virpil, and they are looking into the issue and also seem determined to solve it. Should this happen to you, be very careful when re-tightening the cam screws as you risk rounding out the socket. Today I received my extensions and the replacement cams, so I went ahead and tried to replace the hard center cams. The bank-cam exchange went smooth, but the pitch-cam rests rock solid even after removing the screws. What should I do? After reading various user reports, I am scared as hell about doing anything to the base. I am slightly confused about the replacement cams. 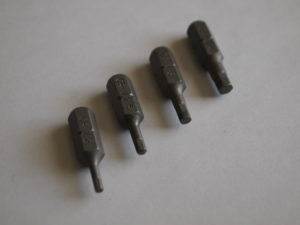 The original cams had 1, 3 and 4 dots, with a very small difference in profile between the 3 and 4 cams (really small though). The replacement cams have 1, 2 and 4 dots and I am unable to discern any difference in profile between the 2 and 4. Also a small suggestion for Virpil, the shipping costs should not be added to the content value when declaring the the shipment, as this will add to the import taxes that are due. In my case this added even more to already very high taxes. For the extensions worth about €60 I had to pay almost €30 in additional taxes! After checking back with Virpil, I could remove the stuck cam with pliers and applying maximum force. The new cam didn’t seem to fit either at first, but pushing really hard I could eventually get it in there. I have now installed the no-center cams and I hope I will never have to touch them again. The other good news is that the metal shop has my bracket ready, so I am going to pick it up later today. Fingers crossed that everything will fit. What was the final design and costs associated with that? 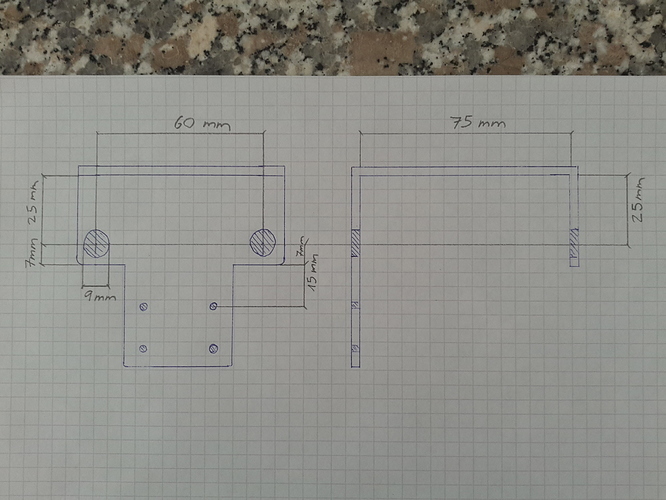 I’m quite curious since I’ve never had to build a design in a metal shop so far but its on my list of todo things! Dimensions look all good, except it was 5mm too short! Fortunately I calculated with a little bit of reserves in length, and after working the tilted mounting plate of my Obutto with a hammer, the bracket fit in with no millimeter to spare. This also has the positive side effect that it is rock solid. It works! I had to remove the upper aft screws to make some space, but since they are not load bearing it is no problem. Amazingly everything fits like it was designed like this. Look at those margins! The upper pair of horizontal mounting screws is only a fraction of a milimeter from the framing. And those bottom screws of the base extend just barely behind the curviture of the tubing, while the base hovers over the tube by a hair’s breadth. The assembly would fail if the base sat a mere milimeter higher or lower. The fact that the this actually works is a miracle. The final result. This is with the seat at the full aft position to easily sit down and stand up. I still need to figure out my exact seating position. Sometimes you just got to rely on luck. Nice job. Nice! What kind of tolerance did you specify?The closeness of it failing or succeeding is why it’s usually specified for holes, lengths and such things! Nice one mate. Looks like a great solution! The metal shop told me they would work with a 0.5mm tolerance. The basic shape and positioning of the holes indeed ended up very precise. What got me was how the bending would influence the overall length. I can not comprehend how it ended up the way it did. It is pure luck that the bracket still just barely fit onto the seat. I am still utterly amazed at the dimensions of the T-50. Would the base be 1 millimeter taller, it would not fit between the bottom tube and the horizontal mounting screw of the seat. Would the attachment points of the base be placed 1 millimeter higher, they would be blocked by the upper tube. If you were to design a base specifically for installation on the Obutto, you could not dimension it more perfectly. What are the odds for that? Aha either you got lucky or they did the calculations for you! When I was doing sheetmetal work I had to learn the formula from the top of my head for 2024 aluminium. The metal stretches when you bend it, and that is what causing your part to be so close to the structure! Really, once you know how it works and get a bit of a feel for your tools you can get really close. .5mm is a pretty big tolerance though, I suppose it’s to keep the price down. Having had a little stick time, I can now also offer some initial impressions on actually using the setup. First let me say that I have wanted a long-throw central mounted stick for a long time, that I am very pleased with my installation of the T-50 and that I approached my first flights with quite some excitement. My T-50 is set up with the strong springs, no-center cams and 175mm of extension. I made a couple of flights with the Me-109 and Fw-190 in Il-2 BoK and the F-5E and Huey in DCS. What became clear immediately that flying with this stick is a lot different than with a traditional joystick and will probably take a considerable amount of time to get used to. Even though I have a few flight-hours in actual aircraft with such a stick and thought I knew what to expect, it will probably take quite some time for me to get proficient with this new controller. What I absolutely love is the ability to fly the aircraft with 3 fingers while resting the arm on your leg. This is both very precise and relaxing. The central stick is also great for VR. With my previous side stick arrangement I had great problems to twist my upper torso to check 6 in a dogfight. With the stick mounted centrally, it is really easy to move in both directions, especially with the ability to switch hand. The long throw of the stick and the distinct profile of centering force along the pitch axis also make it a lot easier to precisely hold pitch while you move around with your body. Having been a user of the Logitech G940 (stick only) for a long time, it will be very hard to let go of FFB. FFB is fantastic to trim realistically, both in fixed wing and rotary aircraft. 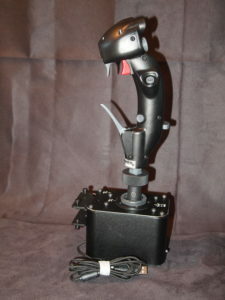 In the F-5E I could hold the desired attitude and then trim the stick forces away, and in the Huey even a single button press would make your current stick position the new force center. Trimming the F-5E with the T-50 (simultaneously move the stick to center while you trim) felt extremely weird and imprecise. This will be very difficult for me to adapt to. 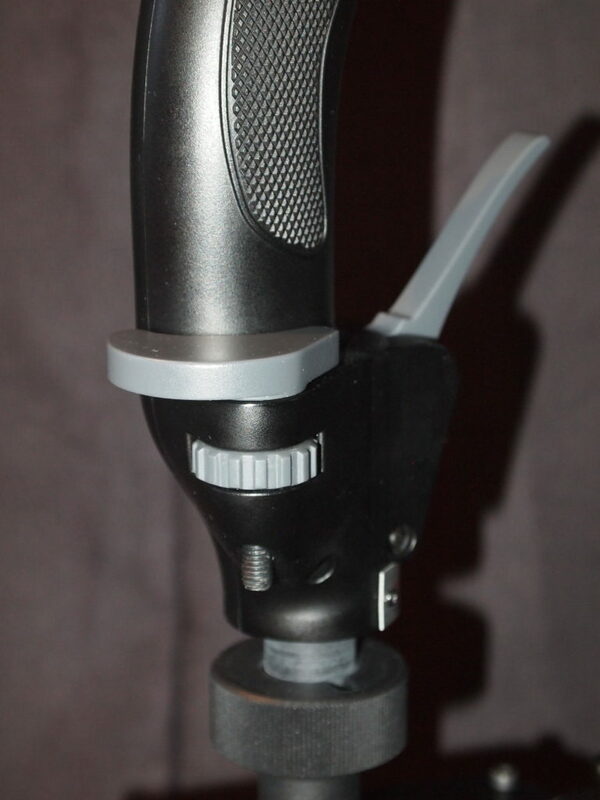 The T-50 with the long extension and without any damping has a considerable amount of pendulum effect. If I give the stick a health nudge, it will oscillate for 3-5 seconds. 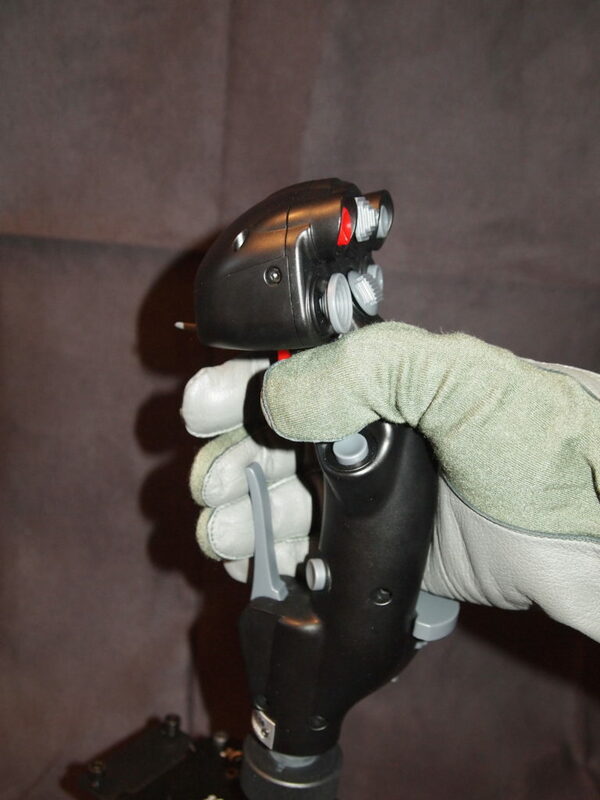 This is also noticeable when flying it hands on, you can sometimes feel how the stick oscillates in your hand. I had the experience that when flying upside down with giving a lot of forward pressure on the pitch axis, I do not have the dexterity to stabilize the swing of the stick in the roll axis, to the extent that the aircraft wiggles left and right. This behaviour might be amplified by the use of the no-center cam and might be less apparent with the other cams. The plastic stick make a lot of aching noise when under load! So much that I hear it under my headset while flying. I am sure it will not actually fall apart, but it leaves a very unfavorable impression. I am not completely happy with my seating position. This is nothing strictly wrong with the T-50 and more an issue of my seat. Even with the seat well forward (to the limit given by pulling back of the stick), the grip is too far forward to comfortably hold it without having the backrest up very steeply and a slightly hunched seating position. I have fears that this might become quite uncomfortable on longer flights (especial compared to the relaxed F-16 style seating I had so far). My hope is that VPC will eventually come up with a curved extension that gets the grip further back, even if this probably means a new grip is required as well (as the present grip is so tall that a curved extension would be of no use). Regarding practical flying precision, I have to report that so far I have found no considerable difference to my previous stick. In fact I have to say that I couldn’t hover the Huey as steady with the T-50 as with my old G940. A lot of this is probably just inexperience and requires some more getting used to. Still it pains me to say that I feel a little underwhelmed. I am sure things will improve with practice and the T-50 is certainly an excellent setup. But so far I do not feel like this is a entirely new level. I should probably also try the soft-center cam to check how it compares in feeling, tough I really didn’t want to endure the cam changing process ever again. 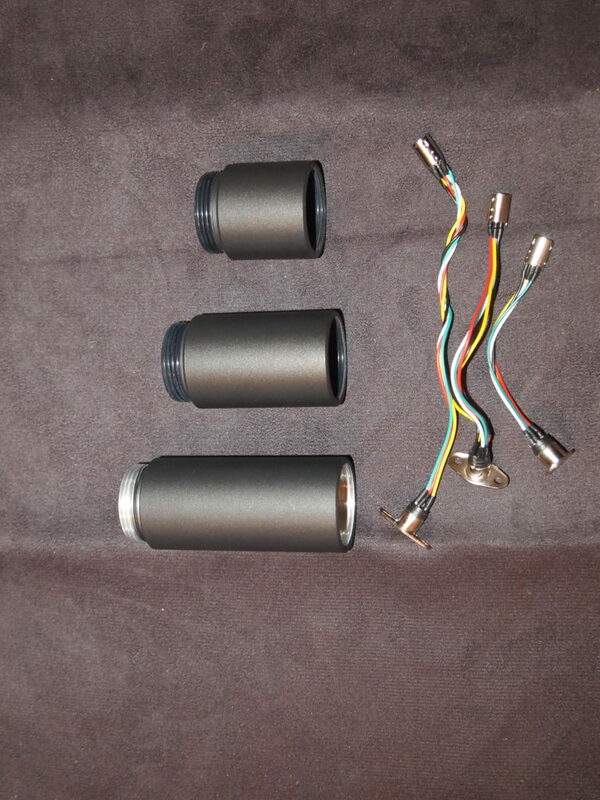 I also wonder how much the differences actually are, as the soft- and no-center cams basically look identical to me. Anyone has experiences with both of them? My journey with the T-50 continues. I decided switch the spring on the roll axis to medium while retaining the hard spring on the pitch axis. I really like the gradual increase to a strong force on the pitch axis, because it helps a lot with precisely attain and hold a certain amount of pitch. On the other hand I prefer a light aileron because you often have to attain maximum deflection quickly. I also decided to switch the roll cam to soft-center to see what it is like (only roll for now because the cam is a lot easier to switch). I didn’t expect any difference because the soft-center cams looks basically identical to the no-center cam. At first I indeed couldn’t notice a difference, but when I started to additional tighten the (medium) spring, a very nice and smooth center became noticeable. It in no way affects precision control but helps tremendously in positioning of the stick neutral (for example during a 4-point roll). Overall I am very pleased with the improvement. I might eventually also change the pitch cam to soft-center (looking forward to THAT), but for now for now I will keep and further test the current setup. This really shows the great amount of customization that is available with the T-50. If you figure out any more quality of life improvements, please post! Custom Built Gaming Computers for Sim Racing, FPS Games, Flight Sims & More. 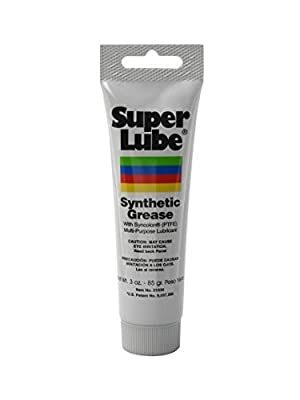 Official US Obutto Distributor. Is the throttle out yet ? Good review! But is no any views from right side or top of stick head. It’s very strange. Top cover not look perfect. What you think about? I originally wanted to buy this stick, but now in thought. You’re right, there are no right side views of the top og the stick, in the review… Thanks for pointing that out. Here are a few for your viewing pleasure. I think the top looks fine. Let me know if there is anything else you would like to see or know more about. What are yor thoughts after 6months of use guys? @Troll, @MBot ? My stick started to develop various problems towards the end of last year, such as loosening of screws, “groaning plastic” sounds of the grip under load and increasingly noises and “clunking” of the gimbals. End of December I was asked by Virpil to send in the unit for repair, which I did. After two months, they sent me a brand new unit, which I think was a very nice move and greatly appreciated. 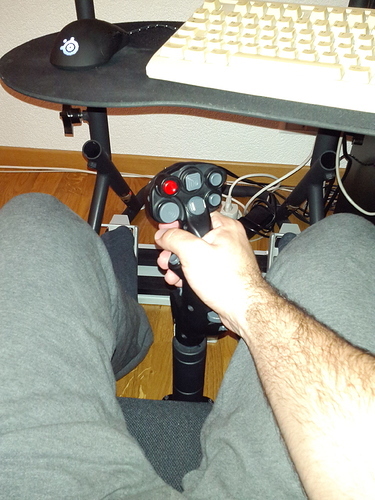 Since the time without stick was enough to overcome my acute flightsim addiction and I got occupied with other things (Command) meanwhile, I haven’t actually returned to the virtual cockpit yet and therefore the new stick still remains unused. Since this is a newer unit I hope that this stick doesn’t suffer from the QA issues of the initial batches. Fingers crossed, as I really like the T-50 in principle. Like @MBot I too suffered from loose cams. I thought it might have to do with changing cams a lot, for the review, but it turns out others had this problem as well. The first batch of sticks had the cams attached by two 3mm screws. Later batches were upgraded to 4mm screws. This seems to do the trick. 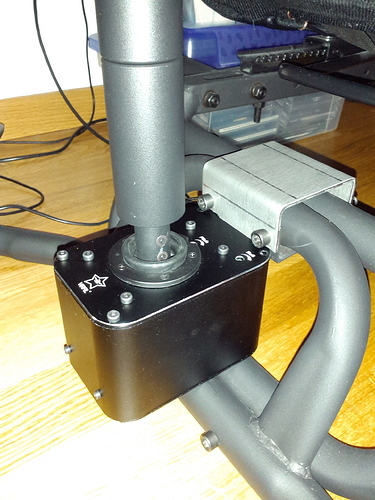 VPC replaced my stick base as fast as russian postal services allowed. From my experience with them, they take their time. Especially when doing customs clearances. When I get the time, I will update the review to reflect this. I guess things will change, once carrier ops are real. Thx, for the feedbacks. Being early adopter has its risks I gues. But hapy to hear they replaced the units. Looking forward to your further insights. 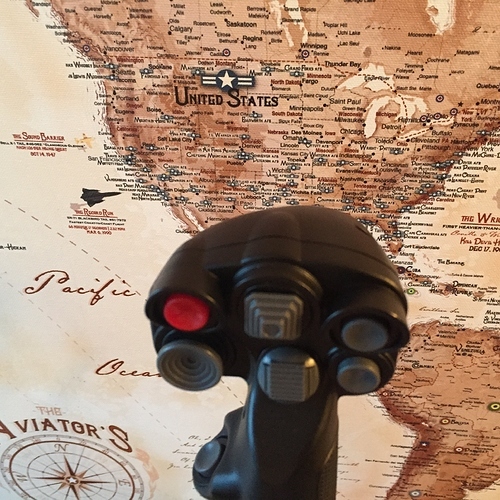 In defense of the poor F-22 PRO - the “high end” HOTAS of end of 1990’s, an review by simmer (and not an today “d’umbox” by “youtuber”) was posted in Combatsim - the reference web site at time. I had all the old TM stuff. The original FCS was my first, followed by the FCS Pro. I used that one’s stiffer springs for my jet sims like F3/Hornet/MiG-29 and used the original one for the WWI/WWII prop sims. I remember talking with Buzz Hoffman on Prodigy about them. It was great when it was still his small company. He died way too young, like a year or two after he sold it and retired. I got the original anodized aluminum RCS pedals next (as well as the TM1 wheel, although the “wheel pedals” were never good). I never got the WCS. Instead, I waited for the FLCS/TQS combo. I remember I bought that around 1995. I then kept that FLCS/TQS/RCS combo for many, many years, upgrading them with Bob Church’s chips (that he also made for the F22) to keep them working until…was it 2009 when I got the G940 I’ve still got now? That was also my last TM purchase. I didn’t think the F22 was a big enough change to make it worth switching to. The demise of the gameport pretty much was the reason for getting the G940 (as well as wanting FFB). Otherwise, I LOVED the FLCS and TQS despite needing to replace the pots in them at least 2x over in the almost 10 years I had them. Of course, the G940 is now almost 10 years old and I’m finally replacing it!